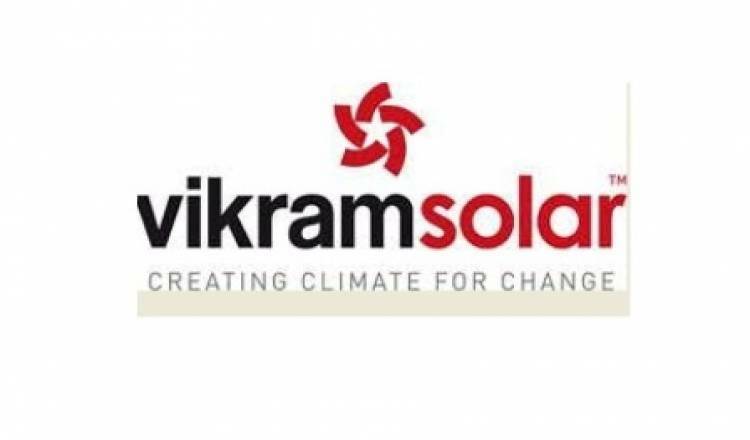 Chennai, 21 January, 2019: Vikram Solar, one of India’s leading module manufacturer and a prominent EPC solutions & rooftop solar provider, commissioned two 10 MW solar projects for West Bengal State Electricity Distribution Company (WBSEDCL). The plants are located at Patni, near Kharagpur and at Lalgarh, near Midnapore, West Bengal. The Solar PV Power Plant at Patni deployed Vikram Solar’s high efficiency Eldora 4BB series 60 cell modules, while Solar PV Power Plant at Lalgarh was consisted of Eldora 5BB series 60 cell modules, ranging from 265 Wp to 270 Wp. Both plants are expected to generate 1.55 MU/MW energy annually. Vikram Solar currently has over 940 MW (commissioned+under execution) EPC portfolio in India. And has served clients like- NTPC, WBSEDCL, GIPCL, BEL, BHEL, ISRO, IOCL, SBI, APGENCO, IMFA, Century Ply, KBL ETC.